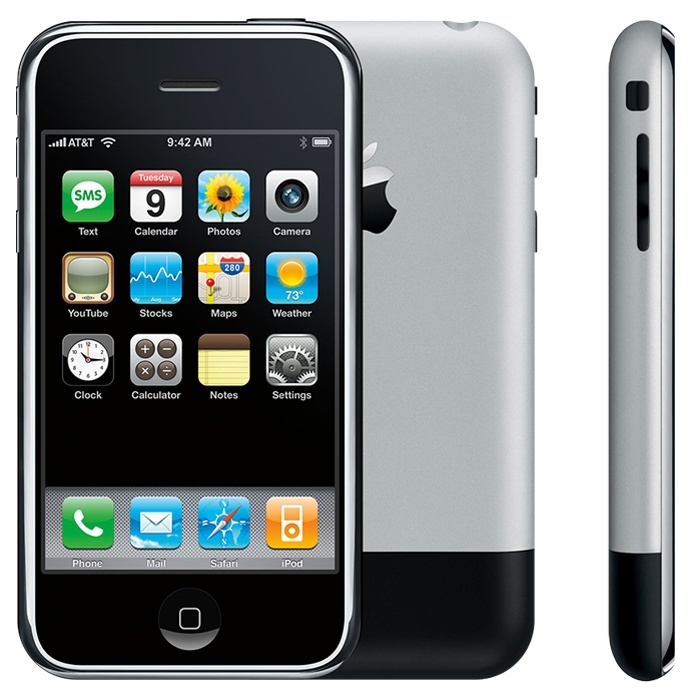 Announced ten years ago this month, the original Apple iPhone is perhaps the most important mobile phone product ever. Changing the direction of the market utterly, 2007 marks a clear line in the history of mobile devices with a "before iPhone" period where manufacturers constantly played with features and form factors and an "after iPhone" period which brought the ubiquitous slabby smartphones that we see today. Although classed as a smartphone, the original iPhone was in fact shockingly limited in what it could do. Cellular data connectivity was limited to 2G only, which for many customers meant crawling along with a GPRS connection no quicker than an old-fashioned dial-up modem, until their carriers could upgrade their 2G network to EDGE which was quicker but still not as good as 3G.. although the iPhone did support WiFi which was quickly the preferred way to get online. Another major drawback is that you were stuck with the applications that came with the phone with no way to add more, making it not much better than a high-end feature phone. The camera was only 2 megapixels and it didn't come with autofocus or flash, and it couldn't record video. 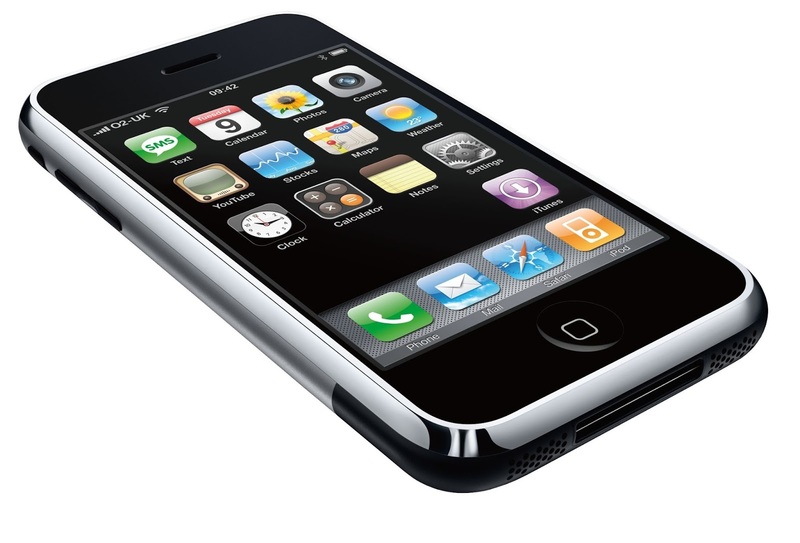 Nor could the iPhone send or receive MMS messaging, and video calling wasn't possible until the iPhone 4 in 2010. As is common these days, the iPhone didn't come with a memory card slot and you were stuck with the 4 or 8GB of storage that the original device came with. On top of all this, the iPhone was incredibly expensive with a top-of-the-range model in the US coming in at $599 when taken with a new two-year contract. And Apple had entered into exclusive carrier agreements in each country, so in the US you could only get the iPhone on Cingular / AT&T, O2 in the UK, T-Mobile in Germany and Orange in France. Even more cheekily, analysts believed that the carriers had to hand over a monthly fee to Apple for each device signed up on their network. In most technical respects, the rival Nokia N95 completely demolished the iPhone - it had 3.5G support, a far superior camera, downloadable applications and a range of features that the iPhone wouldn't have for years. And yet, despite all this, the original iPhone carved a niche for itself selling over 6 million units. So what went right? On the plus side, the hardware and software were beautifully designed. The elegant, minimalist and very slim case made everything else look clunky. And despite its limitations, the software was extremely easy to use with a consistent interface aided in no small part by the high-end 3.5" capacitive touchscreen which made the iPhone very easy to use. If the iPhone had been stuck with a then more common resistive touchscreen then it would had severely compromised the user experience. And the exclusivity did the product no harm when it came to desirability. Apple had learned a lot of mistakes from the awful ROKR E1 that they had co-developed with Motorola and launched a little over a year previously. In both good and bad ways, the iPhone was unencumbered by conventions about what a smartphone should be. Instead Apple designed what Apple wanted, even if customers weren't really demanding such a thing at the time. Amazingly, Apple had managed to keep details of the device secret up until the launch. Manufacturers had known that Apple was working on something, but they didn't know what and misjudged the market completely. Rivals were also very slow to respond - it took Nokia nearly two years to come up with a device that rivalled the iPhone with the Nokia 5800 XpressMusic (despite ground-breaking efforts years earlier with the 7710). 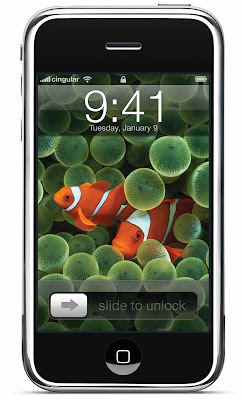 Of course, Apple didn't stand still and the iPhone 3G (2008) and 3GS (2009) fixed many of the problems. Most significantly, the updated OS launched in 2008 allowed third-party apps to be loaded onto the original iPhone as well as the 3G which was a huge step forward. The consequences of Apple's success in the mobile phone market were profound but took a few years to be fully realised. The earliest casualty in the battle with Apple was Microsoft, which saw the market share for Windows phones decline sharply. The success of the iPhone also inspired Google to create the Android platform, and Android was very effective at taking market share from Nokia's Symbian OS. BlackBerry also found themselves squeezed, and within a few years the smartphone market had become almost exclusively Android and Apple, rather than Windows, Symbian and BlackBerry. Fundamentally, there was very little in the iPhone that other manufacturers had not already done. But to a very large extent, every modern smartphone is a synthesis between the original iPhone and the contemporary Nokia N95. They combine the usability and elegance of the Apple product with the flexibility and technical features of the Nokia. They are both separate halves of the modern smartphone story. Apple went off to revolutionise mobile computing with the iPad in 2010, but their move into wearables in 2015 was something of a flop. What will the next revolutionary idea be? And will it come from Apple?